Debut disc raver from The Small Faces which delivered a knock-out mod punch on it's way to reaching #14 in the UK Charts. "Whatcha Gonna Do About It" is heavily inspired by Solomon Burke's "Everybody Needs Somebody To Love". 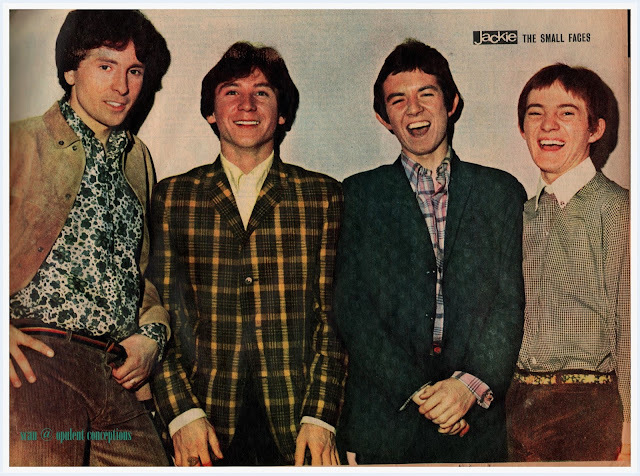 Steve Marriott and Ronnie Lane had already come up with the melody but had no lyrics. 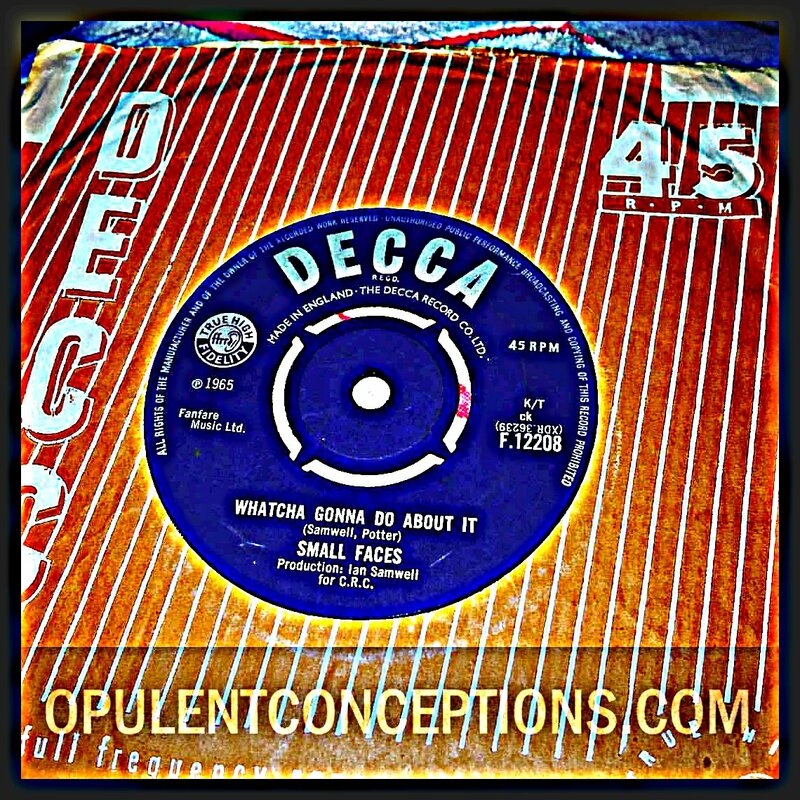 These were provided by Ian Samwell who is best known for writing Cliff Richard's big hit "Move It"
The song features unmatched vocals from Marriott and hammond organ from original member Jimmy Winston who would leave to follow a solo career. The other side "What's A Matter Baby" is a solid beat number with soulful vocals. There are numerous versions of "Whatcha Gonna Do About It" including 1967 takes by American groups The Litter and The Evil. Over in Sweden, The Best may have recorded the fastest version and The Tages the slowest. Seems to have been popular in Scandinavia as both The Hitmakers and Joe E Carter & the Group recorded it in Denmark. Speaking of a really good version there is of course Tom Thumb from New Zealand (which was coupled by an even cooler You're Gonna Miss Me) and then there's a cool live performance by The Remo Four from Beat Club in Bremen.